Castors and components for office seating production including swivel chairs, executive chairs, task chairs, typist chairs, bariatric chairs, saddle chairs and stools, ergonomic chairs, visitor chairs, conference chairs, and reception seating. If you’re looking for high quality castors for your office chairs then Guy-Raymond have the ideal solution for you. 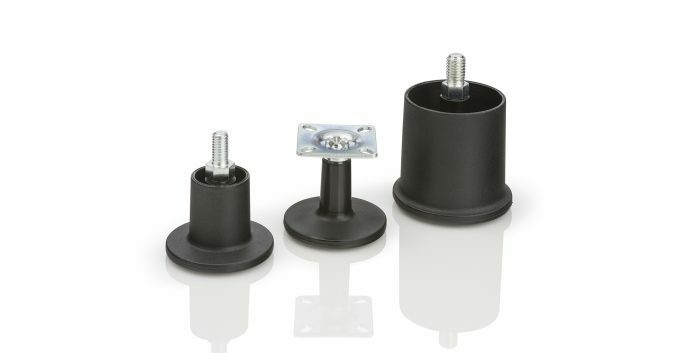 We have a wide range of standard castors available for quick delivery, our office chair castor options include 50mm and 65mm wheel diameters, freewheeling, brake unloaded and brake loaded castors, hard wheels for carpeted floors and soft tyres for hard floors, conductive castors, glides with various tower sizes and heights. Also available are aluminium bases, glass-reinforced nylon bases and telescopic gas spring covers. Does the chair need to stop moving when the user stands up? Brake unloaded castors, which block the chair’s movement when the user stands up, are sometimes required for safety reasons. Please see braking systems for a full explanation of the various types of braked and freewheeling castors available. Or will the chair be static? Glides are an alternative to castors. Some glides offer a very similar build height to castors to allow easy substitution without affecting the overall height of your chair. Are you looking to use a nylon or an aluminium base? We offer five star bases in nylon and aluminium in various designs. We can also recommend castors or glides to suit your base, ensuring that your chair functions well and looks good. Would you like to hide the gas spring with a telescopic cover? 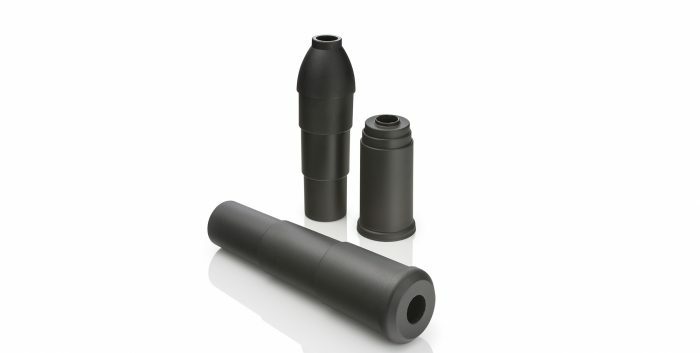 Telescopic gas spring covers are available in various lengths and designs. Classic or modern? Dark colours, pale shades or shiny chrome? Various colours, finishes and designs are available to help make your chair stand out. You have a choice of over 3000 Guy-Raymond products which will correspond to the majority of industry requirements. 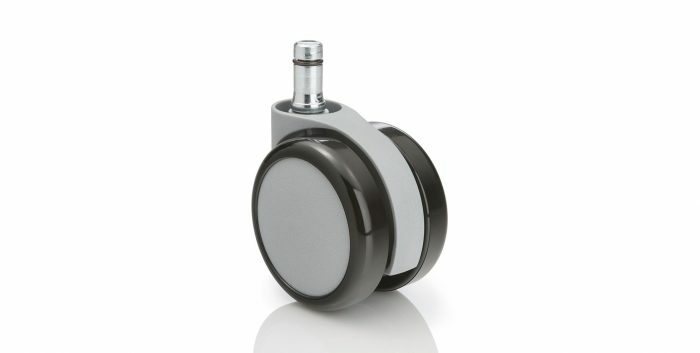 Our castors range between 30mm to 125mm diameter with either hard or soft tyres, various braking systems, conductive or antimicrobial. Wheel protectors are available to prevent damage in transportation. Rigid and tilt glides are available in a variety of sizes and with a selection of fittings. We have a wide range of metal or plastic tube fittings, inserts and outside fitting ferrules, in a variety of colours and size options. The plastic desk wire management inserts are a neat solution for desk cables. Adjusters are offered with threads M6 – M16; range of heights and load capacities in either tilt, rigid or non-tilt. Our standard handwheels are black with M6 or M8 threads. Standard products are usually despatched within 2 working days. For large orders delivery times may vary. Your Account Coordinator will liaise between you and our Design, Research and Development Department and guide you throughout the creation process ensuring an efficient journey from product conception to manufacture. Please contact us to discuss customisation including: company branding and logos; RAL and Pantone colours; different finishes; antistatic / conductive or antimicrobial options. If you require a minor or even a significant modification to our current range, for example, alternative fixings, sizes, increased load capacity or special materials, eg non-flammable, give us a call. We are able to produce bespoke plastic or metal parts, including small quantities through to large production runs. Please do not hesitate to explore your ideas with us. All our products are produced to ISO 9001 and the company is certified to ISO 14001. Additionally, our castors meet the necessary European Standards, including EN12529, EN12528 and EN12530. Started in 1948, Guy-Raymond continues to expand. Our King’s Lynn site now includes a dedicated Design, Research & Development Department supported by Toolroom, Turning, Forging, Injection Moulding and Assembly Departments. In house testing guarantees high quality results to support your project from initial design right through to production and delivery.